EHRI’s overriding ambition is to overcome some of the hallmark challenges of Holocaust research: the wide dispersal of the archival source material documenting the Holocaust across Europe and beyond, and the concomitant fragmentation of Holocaust historiography. It seeks to alleviate this situation by initiating new levels of collaborative and trans-national research through the development of innovative methodologies, research guides and user-driven transnational access to research infrastructures and services. To facilitate this, EHRI designed and implemented a Portal that offers online access to in-depth information about a wide variety of disparate and dispersed Holocaust archival materials and to a number of online tools. Building on integrating activities undertaken over the past decades, EHRI transforms the data available for Holocaust research around Europe and elsewhere into a cohesive corpus of resources. In 2015 a four-year follow-up programme started, supported through the European Union’s Horizon 2020 programme. A new consortium of 23 partners from 17 countries has been set up that will enable EHRI-2 to establish connections and working relations with communities of researchers and institutions in different parts of Europe, especially in Eastern and Southern Europe. EHRI-2 focuses in particular on those Holocaust archives that are not part of larger infrastructures and/or are ‘hidden’ to most researchers. EHRI is as much about integrating archival material as about integrating three communities: Holocaust researchers, Holocaust archivists and digital humanists. This can be considered a social challenge. In the current project we will move from a focus on collection descriptions to working with the digital surrogates of these collections themselves. We will test, evaluate and enhance existing digital tools and methods in a collaborative effort. Thus EHRI aims to stimulate the generation of new insights into the Holocaust by (digitally) analysing large amounts of data. EHRI’s activities are driven by the needs of researchers and research questions rather than by technology. Conny Kristel is a historian specialized in the impact of war and mass violence in the 20th century. She is Senior Researcher at NIOD Institute for War, Holocaust and Genocide Studies in Amsterdam. Currently she is finishing a book on the Dutch ‘reception’ of the military and revolutionary violence in the years 1914-1919 in an international comparative perspective. She has been coordinating the first phase of the EHRI-project (FP7 2010-2015) and is now coordinating EHRI-2 (2015-2019). Martijn Eickhoff is a historian who specializes in the historical culture of times of war, regime change and mass violence. He works as a Senior Researcher at NIOD – Institute for War, Holocaust and Genocide Studies in Amsterdam. For his current research project ‘Memory Landscapes and Regime Change in Semarang (1965-1966)’, he is developing a new, small scale digital tool to map and visualize localized memory of mass violence. 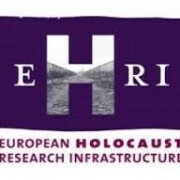 Since 2015 he participates in the work package ‘Digital Historiography of the Holocaust” of the EHRI-2 project. Mike Priddy is a Senior Information Systems Engineer at DANS, specialising in the architecture and development of research data infrastructures. He has worked and led on technical aspects in: the preparation of DARIAH, DwB (Data without Boundaries), EHRI-1, DASISH (Data Services Infrastructure for the Social Sciences and Humanities), OpenAIRE. He is currently participating in: CESSDA-SaW (Strengthening & Widening), DARIAH-HaS (Humanities at Scale), EHRI-2, and PARTHENOS (Pooling Activities, Resources and Tools for Heritage E-research, Networking, Optimization and Synergies).